ASAP Locksmith has been serving Broward, Miami Dade, and Palm Beach Counties since 1993. We are locally owned and operated and all our work is guaranteed. You found what you were looking for, CALL ASAP LOCKSMITH NOW: 954-457-2727. ASAP Locksmith, Locksmiths you can trust! Servicing South Florida with 12 fully-equipped service vehicles, A.S.A.P. Locksmith is the name to trust when it comes to your security! A.S.A.P. LOCKSMITH is locally-owned and operated and has been serving Broward, Miami Dade, and Palm Beach counties since 1993, 24 hours a day / 365 days a year. We built our reputation as South Florida’s professional security experts by providing security solutions, identifying risks and offering top quality products at affordable prices. ALL WORK IS GUARANTEED! BE SURE TO CALL THE ORIGINAL ASAP LOCKSMITH… Don’t be fooled by imposters! SAVE OUR PHONE NUMBER BEFORE YOU NEED IT. Welcome to our new website. These are exciting times when everything is changing at high pace, especially technology. This year we have made a pledge to modernize our company and we are surely boarding that train. We are excited about the possibility of connecting with you through this channel, which we believe has all the information you need to make the right decisions about how to protect yourselves and your properties. As a Fort Lauderdale Locksmith we can assist you immediately just call 954-457-2727 24 hr. a day . With more than 20 years in the business we have seen it all, and our team of technicians is used to diving into the pool of knowledge available within our company to solve the types of obstacles that so commonly arise during installations. What we wish transcends after your visit is the importance of installing High Security Locks. Cities like Miami, or Fort Lauderdale, have a high crime rate. It’s no secret how easy has become in the digital age for badly intentioned individuals to learn how to pick a lock; all the information they need is just one ‘search’ away. Do the experiment by yourselves. Google the phrase “pick a lock” and you’ll see what we mean. That is why we train our technicians to explain the difference between a standard lock and a high security lock so that you can make an informed decision. It’s really valuable information, but it is not enough because it’s not only about what you are installing, but who is installing it? Who will install your locks? 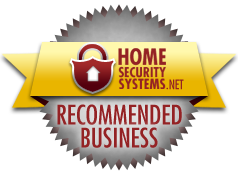 We firmly say to you, beware of who you are hiring to entrust the security of your home or business. Technology has brought us many positive advances, but also its share of problems, one of them being the widespread locksmith scams occurring throughout the nation, including South Florida, so we created a special section to explain how this Locksmith Scams occur, and what you can do to avoid them. If after leaving our website to continue your web browsing you are educated about this problem we know we have done our job. Learn about the Locksmith Scam, and Share it with your closed ones, is our coda, so that you make sure that anytime that a Locksmith Fort Lauderdale is needed your hire the most reputable company available, and that is A.S.A.P. Lock & Safe. Miami Dade: Aventura, Bal Harbour, Bay Harbor, Biscayne Park, Coral Gables, Cutler Bay, Doral, Golden Beach, Hialeah, Homestead, Ives Estates, Kendall, Key Biscayne, Medley, Miami, Miami Beach, Miami Gardens, Miami Lakes, Miami Shores, Miramar, North Bay Village, North Miami, North Miami Beach, Opa-Locka, Palmetto Bay, Palmetto Estates, Pinecrest, Pinewood, Richmond West, Scott Lake, Sunny Isles Beach, Surfside, Tamiami, Westwood Lakes... and all adjacent areas. Broward County: Coconut Creek, Cooper City, Coral Springs, Dania, Davie, Deerfield Beach, Fort Lauderdale, Fort Laud FL, Hallandale, Hillsboro, Hollywood, Lauderdale Lakes, Lauderdale by the Sea, Lauderhill, Lighthouse Point, Margate, Miramar, North Lauderdale, Oakland Park, Parkland, Pembroke Park, Pembroke Pines, Plantation, Pompano Beach, Southwest Ranches, Sunrise, Sunset, Tamarac, Weston, Wilton Manors... and all adjacent areas. Palm Beach County: Boca Raton, Boynton Beach, Delray Beach, West Palm Beach, North Palm Beach, Palm Beach, Palm Beach Garden, Palm Springs, Royal Palm Beach, Riviera Beach, Wellington, West Palm Beach….and all adjacent areas.